Buttercup recently took a break from woodwork to do some retail therapy. 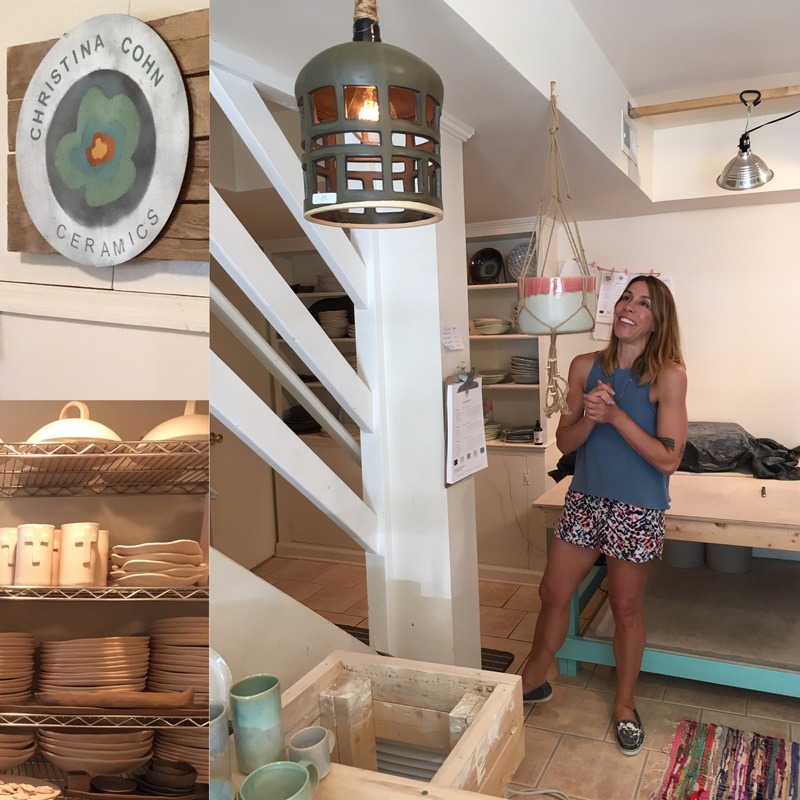 My ceramicist friend Christina Cohn was having her semi-annual studio sale, so I went to see what she’s been turning out of her workshop. I first encountered Christina’s work when she introduced her early collection of vases and mugs at Popclectic, the artisan pop-up market that accompanies the annual Artclectic art show and sale at University School of Nashville. In the past four years, Christina Cohn Ceramics have come a long way from a simple set of mugs and vases. These days, Christina designs a full collection of dishwasher- and microwave-safe dinnerware available for wedding registry. She makes jewelry, pendant lamps, wine coolers, garden planters and other gorgeous accessories for kitchen, house and garden. Christina shows at major arts events, including Artclectic and the revived American Artisan fair, and her designs are available in local stores including Barber Woodworking, The Dotted Line and EIO & The Hive. I am inspired by—and jealous of—people who figure out early on that they want to work with their hands. I am also jealous of Christina’s beautiful home studio. Painted warm white and anchored by a massive red kiln, her basement workshop is loaded with graceful bowls, plates and platters, in serene hues of beige, cream and blue that look like they have just been laid by a hen. As I browse the shelves, Christina shows me some curiously textured beads in her jewelry collection. She explains how she rolls the clay in couscous before drying it in the kiln, where the pasta incinerates, leaving behind delicate sandy impressions. “I always like to have something I’m figuring out,” she says. I bought a blue-glazed bowl imprinted with a bird motif by Nashville artist Valentina Harper. I purchased it as a wedding gift, but upon arriving home, I stashed it in the cupboard with my favorite pottery pieces by Tom Turnbull and McCartys. The bowl was just too pretty to part with. Christina Cohn Ceramics will be at Artclectic at University School of Nashville, Oct. 19-21, 2017. Find out more about her work at ChristinaCohnCeramics.com or on Facebook.